From its inception, Asian Pharmaceuticals has believed - and will continue to believe - in creating value that benefits not just those who work in Asian, but for society as a whole. Our objective is to align company strategies to continuously strive towards sustainable development of our society. Minimizing the environmental impact of our business, such as detoxification of unused and expired medicines, environment treatment plant, treating toxic water, sourcing API (active pharmaceuticals ingredients) from responsible producers. Integrating local communities, employing locally, respecting our society. Promoting interaction with internal and external stakeholders, as well as the government of Nepal and NGOs. To improve company performance by creating an equal and transparent workplace. Enhance and encourage innovation, research, and development and ideas among staff. Compliance to international guidelines for the production of the medicines. Environmentally sustainable production and disposal of medicines, following proper guidelines as per international standards. Encourage staff involvement in community work and giving back to society. Create awareness on the importance of working with local communities. ASIAN has donated huge amounts of medication in times of natural calamities like the flood in the Eastern region of Nepal, earthquake in Pakistan, Nargis Typhoon in Myanmar etc. ASIAN organises various health camps across Nepal. These health camps raise awareness on mental health, women’s health, oral health, the importance of washing hands, and general hygiene. The camps have been held in remote areas of Charikor, Trishuli, Barabishe, Surkhet, Pyunthan, Dailekh, Baitadi ,Ilam and Dhankuta. ASIAN has distributed yearly supplies of school materials to children - mainly female children - to promote and support educating girls. ASIAN has supported and will continue to support organisations like TEWA, AAMA GHAR, and various orphanages working to uplift women and children. ASIAN purchases souvenirs made by people suffering from leprosy and women who have been victims of social/domestic abuse, to promote entrepreneurship and to help them generate a sustainable income. 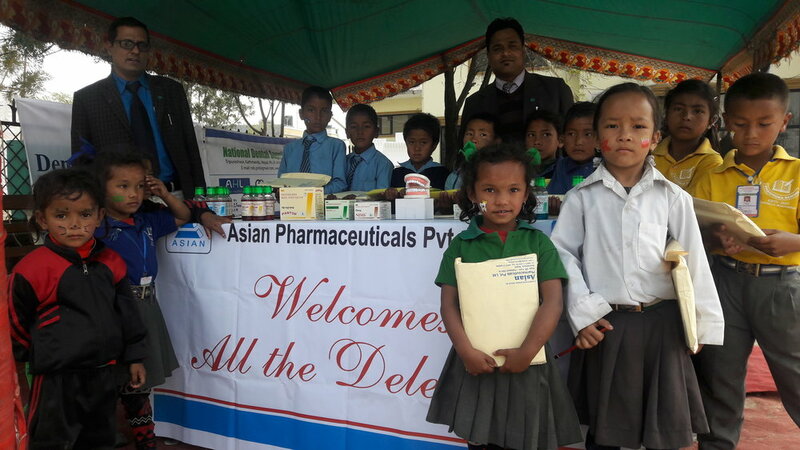 During the April 2015 earthquake in Nepal, where over 9000 people were killed and more than 22,000 people were seriously injured, ASIAN not only distributed free medicine worth more than 80 lakh, but also helped staff who suffered damage, to rebuild their homes and recoup their lives. ASIAN, along with many pharmaceutical companies, as a part of APPON (Association of Pharmaceuticals Producers of Nepal), participated in the earthquake relief program that was organised by FNCCI. For nearly a month, almost all the staff from the manufacturing/production unit and all the staff from marketing were on the ground helping to distribute medical emergency materials. You can find a short clip of film coverage by Al Jazeera here. If you wish to work with ASIAN, please feel free to contact us.